(Serial No. 185558) Excellent condition. This is what a good bluegrass guitar is all about. 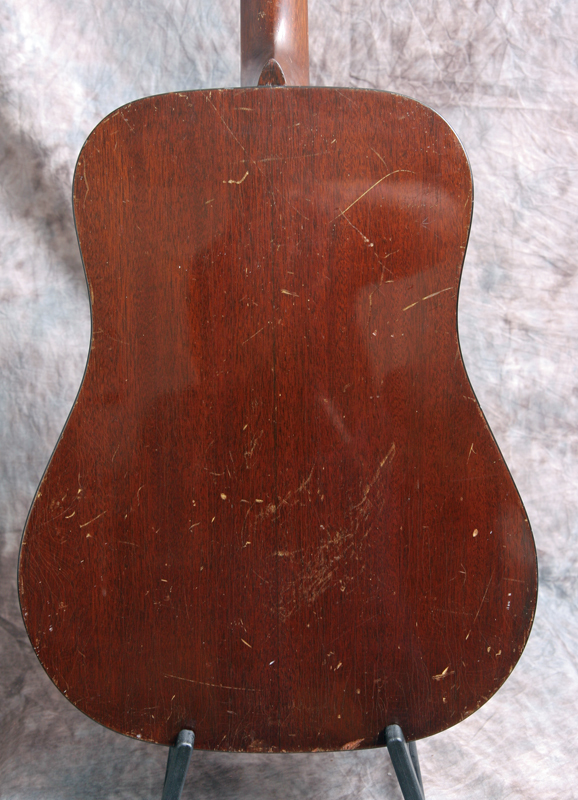 Well played old festival warrior D-18 has a Sitka spruce top and mahogany back and sides. 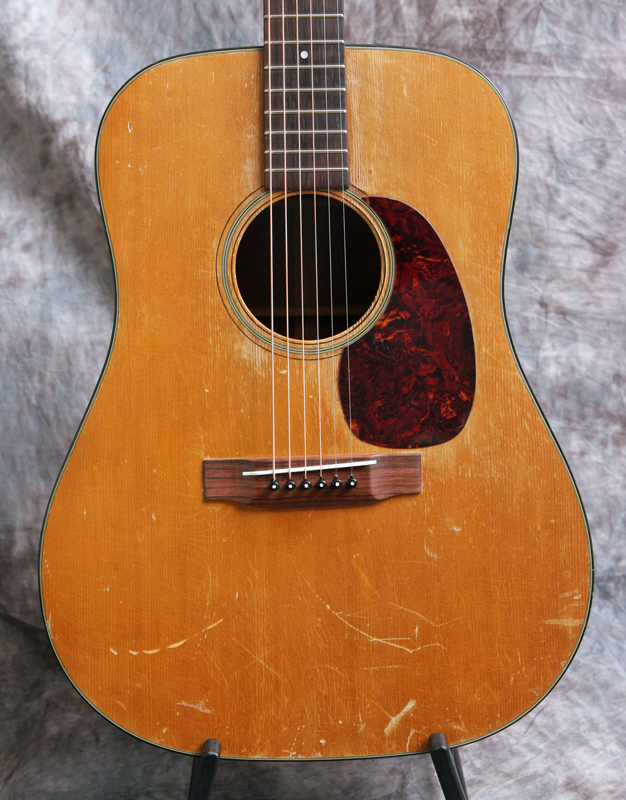 Shows some playing wear and has a few nicks and dings - this guitar was played a lot because it sounds so good! 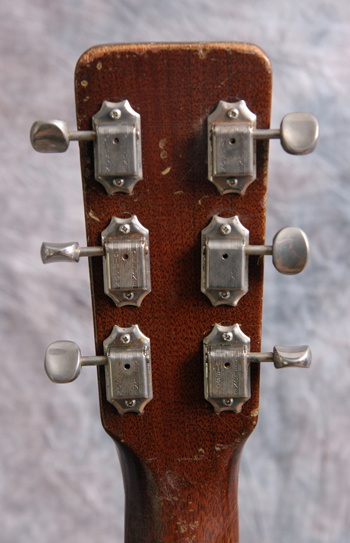 Tuners are original closed back Klusons. 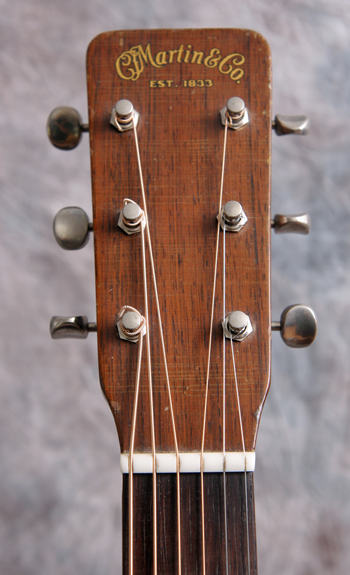 Neck is straight, neck was just reset and a new saddle made by luthier Harry Eibert, and the frets were dressed at that time. Has tortoise pickguard and binding and the small maple bridgeplate. It has the dry woody sound you only get from a 50 year old mahogany guitar, with that huge Martin boom on the bottom end. Very powerful bluegrass sound. Nice low action with plenty of saddle left. 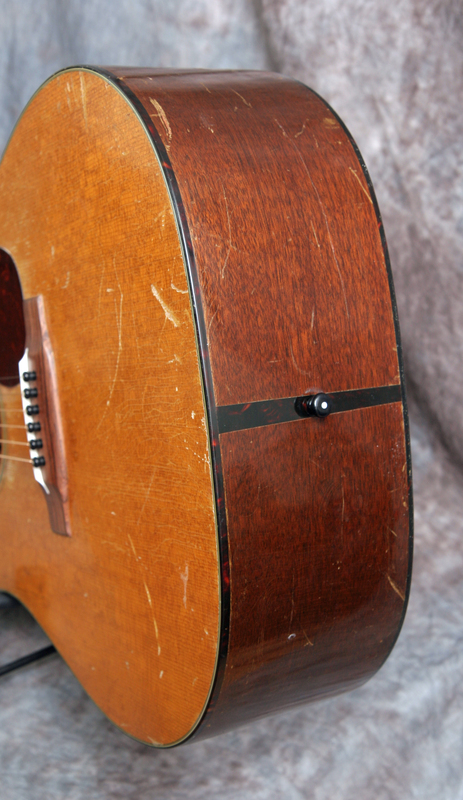 A few small dryness cracks were repaired on the sides but overall its a straight guitar. Comes with what looks like an original Martin hardshell case.